On this day of intentional thankfulness, my mind is set on things in ways far different than ever before. In the few weeks following my season in Kenya — and from one of the most profound experiences of my entire life — the things I am grateful for have come into clearer and more meaningful focus. While I strive to live a life of gratitude and optimism, and believe I succeed in this desire most days, this year as I give thanks, I am also mindful of and grateful for others that were not in my life at this time last year. In this post, I am desiring to share thanks on behalf of these dear ones as I believe they would want to if they were able to do so themselves. Perhaps you’ve been following my recent journey as I have taken what most call “courageous” steps toward a redirected life. While I agree my decision to leave the security of my corporate career for full time ministry is the biggest leap of faith I have ever taken, I don’t call it courage…I call it obedience. But whatever it is called, I know it was right. Perhaps, even, you are growing weary of hearing about it…or seeing me post about it…or asking for your help. While I pray this is not the case, I am not deterred. Why? Because while knowing that you felt that way would certainly be discouraging, there is something unrelenting in my spirit as I seek on behalf of others, especially those who are most vulnerable and in desperate, life-or-death need. Surely, there are many who can be described as vulnerable and in need. Surely, we should all be looking — rather, be willing to see — those put into our paths, so that we can stand in the gap for those who need such help the most. Surely, there are others who are advocating for others, as I am. So it is today, on this American day of Thanksgiving, that I give thanks for these eight, and on behalf of these eight – Junior, Joseph, Arafat, Meschach, Davis, Joshua, Ibrahim and Mike. These are not just any boys now; these are my boys now. And they are the boys of a team of dedicated, loving people both in Kenya and here in the states. If the boys could tell you something themselves, I’m pretty certain they would say that just mere weeks ago, they were frightened…heartbroken…hungry and cold. Further, they would share that they never believed that they’d ever know life to be any different from the destitution and hopelessness of a life on the streets; to freedom from the compulsion to sniff glue to the point of unconsciousness to ease their hunger, pain and loneliness. I think they would also laugh as they say that even if they ever did dream of such help coming to them, they would have never imagined it coming through the hands of a mzungu (white person) from the United States who would not stop hugging them, nor one so unable to stop the tears from seeping from her eyes when she had to say goodbye to them. Nor did this mzungu ever imagine being so humbly honored to be called as the hands and feet of God for these precious ones! Many of us have mostly known a life of ease and comfort. Sure, we have our problems, but in comparison to what these dear ones have known – and the desperation that so many still live out as a daily reality – our problems will only ever pale in comparison. Are we meant to feel guilty for being so blessed? I say no! But I do believe we are meant to look beyond our own blessings to see –really see — those who so desperately need our help, and take action to do something about it. So in addition to ministering to God’s daughters as I have for the past few years, God has also called me to stand in the gap for these precious children. Those in Upendo Home and those who are still hopeful that I will return and help them too. And I must. And I will. But as I have said before, I cannot do this alone and I do not believe I am meant to. The fact is, that in the United States, we have a wealth of resources, both individually and corporately. We have the means to change the lives of many, and many of us are already working hard to do that. To that, I say bravo! But I believe we can generally do more. It is for this reason I will continue to share my plea. I hope you will remain a part of this journey. And if you’re ready to step onto the path I now share with these precious ones, kindly let me know — there are several ways you can help, not all of them financial. If you are able to help with a donation, you can do so either via PayPal to lovewithoutbordersca@gmail.com or via our open Indiegogo fundraiser. Blessings to you. It’s been a little over two weeks since I returned to the states from Kenya. The transition back to life here has been one of much introspection, emotion, seeking; both within me and in observing this life around me. It has caused me to remain pensive and quiet for a time while I consider what my life is meant to look like now…what my new normal is. Little did I know how deeply my heart would be touched, changed, broken and challenged during the months I spent in Kenya. But is was and it continues to be. Before going to Kenya, I knew some of what I was meant to do in God’s call to me to minister to women. I answered that call and it was truly amazing. But it was my unknown assignment that has left me so introspective. 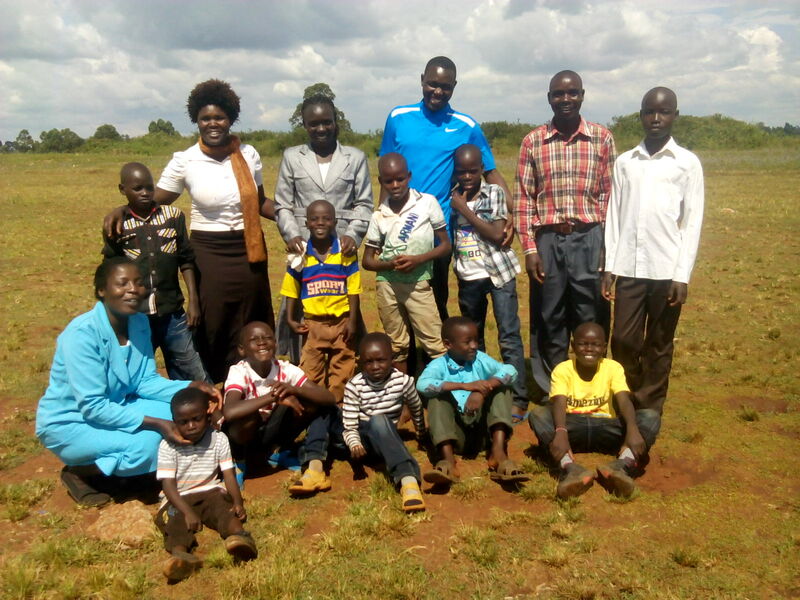 I never expected to meet and fall in love with the street orphans of Kitale. I never expected to be one who would know what it feels like to rescue children from the utter desperation and hopelessness of a life abandoned and forgotten on the streets. 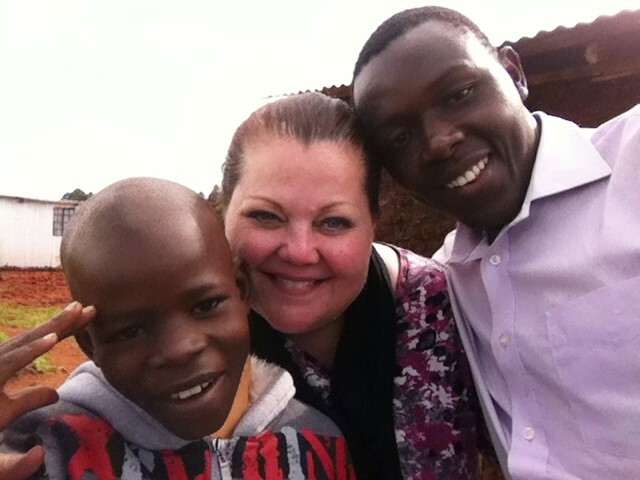 I never expected to leave so many loved ones — especially so many sons — and a big piece of my heart in Kenya. But that is precisely what God had in mind. And that is precisely what happened. So often in life, it can be overwhelming to look around at the deep need and do nothing to help another up because we question the difference a small effort can make in the face of such great need. In challenging others to rethink this, during my message, I asked several people to stand next to me in a line. I described how it felt to look at each of them, considering they each had a great need. I shared that if I focused on the overall need, I could easily feel discouraged and overwhelmed not being able to help them all and decide there was no point in helping anyone. But this is where the challenge came in. Instead, I said I would choose to focus on what I could do for the one most immediately close to me, then I would take their hand to demonstrate my effort. In turn, I would have the person who’s hand I held — who had been helped by me — to then turn and help the one next to them and so on. At the end of this demonstration, when we all stood hand in hand, I asked the audience if through my influence of helping one, if I had not actually indirectly helped them all? Clearly, the answer was yes. As I sit here today, my heart is overjoyed to know that for eight little boys, my hand was used by God to start the chain of change in their lives. 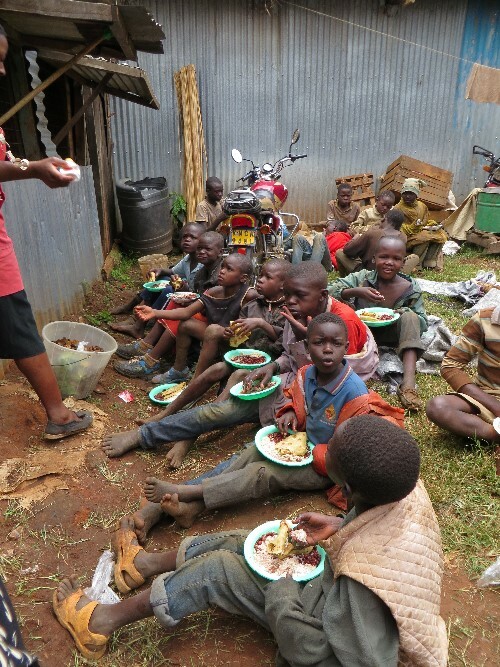 Where there once was the pain of daily hunger, there now is regular meals. Where there once was a cold hard street to sleep on at night, there now is a warm, soft bed. 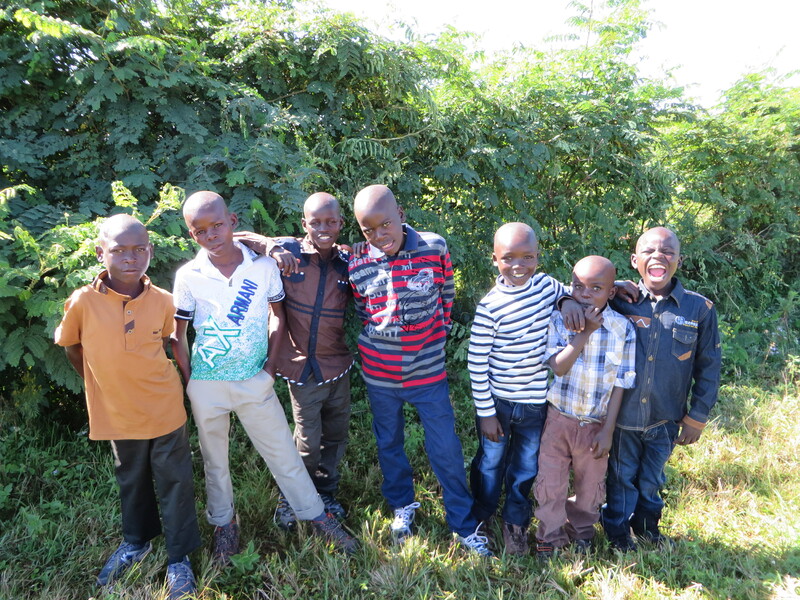 And where there was once only the identity as a street orphan, these boys are now surrounded by a loving family of people — both in Kenya and the states — who love them and know them to be Junior, Joseph, Meshach, Arafat, Davis, Joshua, Mike and Ibrahim. Sweet, talented, adorable little boys. None of this would have happened if one hand of hope was not outstretched to start the chain of change. For me, I know I cannot stop here. 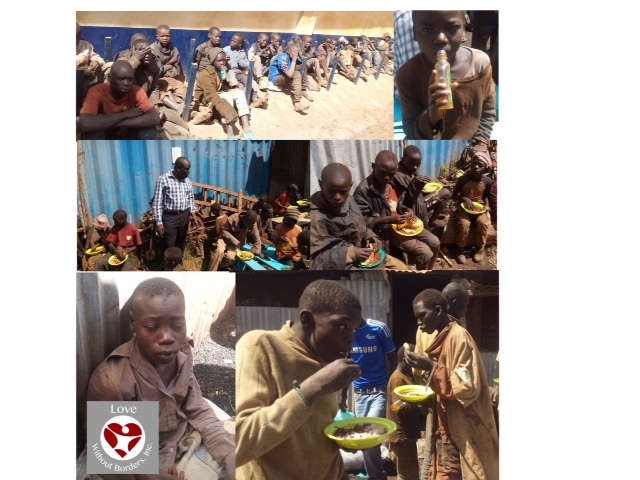 As I sit in the peaceful, warm comfort of my home, my precious boys and the remaining children in need on the streets of Kitale are always on my heart. There is a need to sustain what we have started in our little Upendo Home, and there are so many more kids still waiting to be known. One thing I promised them all was that they were seen by me, loved by me and that I was continuing to work to expand the work of hope that had begun. Here’s the thing. I cannot do this alone. More so, I don’t believe I’m meant to. Before even leaving Kenya, I was amazed to witness an unsolicited team of women at home eagerly rising up to the larger task of securing the resources we need to sustain Upendo Home. To come home to a team already formed and engaged was a dream come true. So firmly beside me now on this journey are Nina, Laurel, Megan and Kristi and we have precious others such as Joyce and Stephanie supporting us through selling their handcrafts. These women have all said yes to stretching out their hands to the chain of change; to trusting the power of two. The equally amazing Kenya team is Paul, Mary, Titus, Caleb, Caroline, Enoch, Patrick and Rose. Everyone on the entire Upendo team is a volunteer. But the needs are great and we have a long way to go. So I am going to ask you — yes you — for a favor. Will you please take a moment to let this sink in? Really sink in. Once you do, will you challenge yourself to stretch out your hand to lift another up through the chain of change? If the answer is yes, there are many ways, great and small, that you can help; I’d love to talk with you. You can message me @ karenmichaelle@icloud.com or in comments. Thank you ever so much.